The legacy of Spyros Metaxa set out to reach a level of smoothness and aromatic intensity never previously attained in spirits. To get to his vision, he blazed his original path. He went beyond conventions, faced risks. And he created a drink vibrant and spirited, yet smooth on the palate - truly rewarding to the senses. 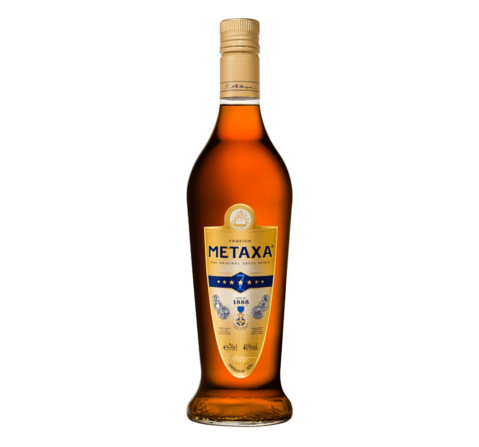 The drink he gave his name to: METAXA. Since 1888, the Founder's legacy is the style of METAXA. Today, the House of Metaxa brings this style to life, always true to the Originality, Vibrancy and Risk-taking Courage of the Founder. To create and recreate the smoothness of METAXA it takes singular talent. To master the art of METAXA it takes a certain obsession and the touch of a Man – the Metaxa Master – the master entrusted with the keys to METAXA secrets. Today, METAXA is born under the watchful eye of Constantinos Raptis, Metaxa Master. He guarantees that every drop delivers the smoothness and character METAXA is celebrated for, the world over. The inimitable spirit character of METAXA owes its structure to the fine distillates maturing slowly underground, in the cellars of the House. Selected by the Metaxa Master, these distillates are chosen out for their elegance and their capacity to age. They begin their life in small oak casks. When the time is right, they are blended with the Muscat wines, under the watchful eye of the Metaxa Master, who then places the blends in larger oak casks for the “marriage” to take place. Constantinos Raptis knows the secrets of METAXA like no one else. He carefully selects the noblest, most aromatic Muscat wines and sets them aside for his future blends. He picks the finest distillates one by one and patiently matures them in French Limousin oak casks. Only when the time is right does he blend the aged distillates with the Muscat wines. He gives his blends more time to rest and brings in one last touch with a secret bouquet of infused May rose petals and Mediterranean herbs. 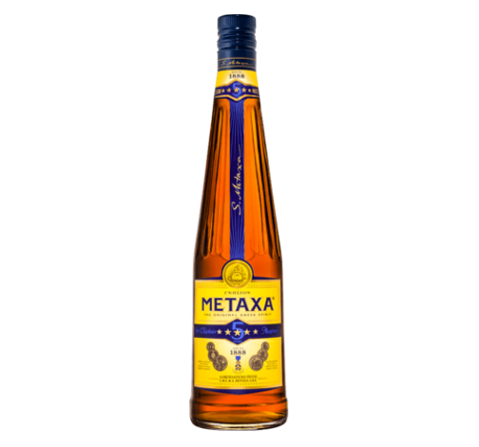 The finest aged distillates blended with aromatic Muscat wines from the Aegean Islands make METAXA the smoothest amber spirit under the Sun. The fruit of Nature and the work of Time sublimed by the Talent of a Man: this is the philosophy behind the work of the House of Metaxa.